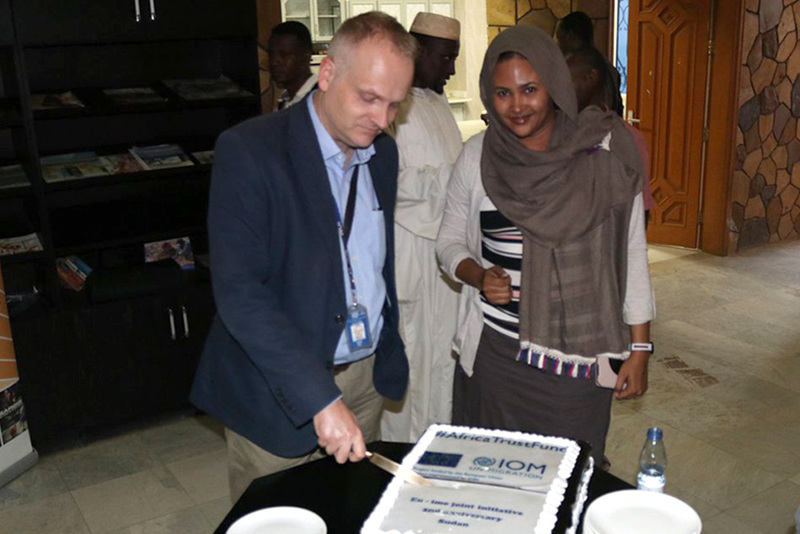 Khartoum — On Sunday (16/12), the second anniversary of the EU-IOM Joint Initiative for Migrant Protection and Reintegration in the Horn of Africa was celebrated at the International Organization for Migration (IOM) office in Khartoum, Sudan. 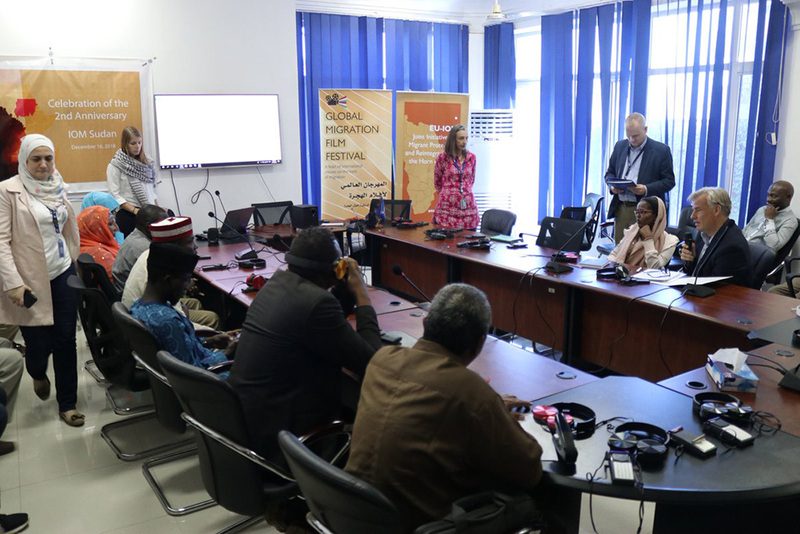 The event was attended by representatives from the European Union (EU) delegation, 10 migrant returnees from Libya and 16 representatives of Nigerian, Ethiopian and Eritrean migrant communities. The 2nd anniversary celebrations were complemented by the screening of two films, Alba and Offside, which aim to inform, inspire, transform and promote inclusion of migrants in host communities in line with the Global Migration Film Festival activities. Discussions were held after the screening to engage the audience in migration conversations, with a focus on the benefits and challenges of migration amongst migrants and their families. The Sudan programme is part of the larger EU-IOM Joint Initiative for Migrant Protection and Reintegration which facilitates orderly, safe, regular and responsible migration management through the development of rights-based and development-focused policies and processes on protection and sustainable reintegration. The EU-IOM Joint Initiative, backed by the EU Trust Fund, covers and has been set up in close cooperation with a total of 26 African countries. Under the Project, the mission has assisted 208 non-Sudanese migrants to travel back to their countries of origin and has provided economic reintegration assistance to 207 Sudanese returnees in Sudan and continues to support migrants, migrant communities and the government in managing migration in a holistic and sustainable manner. Migrants will benefit from individual and community economic reintegration support plus support for medical and educational needs. “With funding from the EU, IOM — in close partnership with the Government of Sudan — will continue to provide sustainable reintegration to migrants in Sudan and dignified and safe return of migrants to countries of origin,” said IOM Sudan Chief of Mission Catherine Northing. “As we continue to give economic support to migrants, we need to also provide adequate psychosocial support given the experiences that many migrants have been exposed to,” said Jannik Vaa, Head of Cooperation Section EU Delegation to Sudan. He went on to emphasize the importance of governments and migrant communities’ involvement in managing migration through sharing of responsibilities between all partners in order to harness the benefits of migration.